With western-imposed sanctions still in place against Russia, Gazprom is beginning to take real steps to reduce its technological dependence on the West. Its first step in this process is the purchase of a pipe-laying ship to work on the shelf, and can be used to complete construction on the Nord Stream-2 pipeline system. Gazprom has acquired the Akademik Chersky pipe-laying ship, said Vitaly Markelov, deputy chairman of the gas company. "Gazprom built the ship for laying pipes, for working on the shelf; it is universal," Markelov said. The company now intends to use the ship on the Sakhalin shelf, Markelov said. 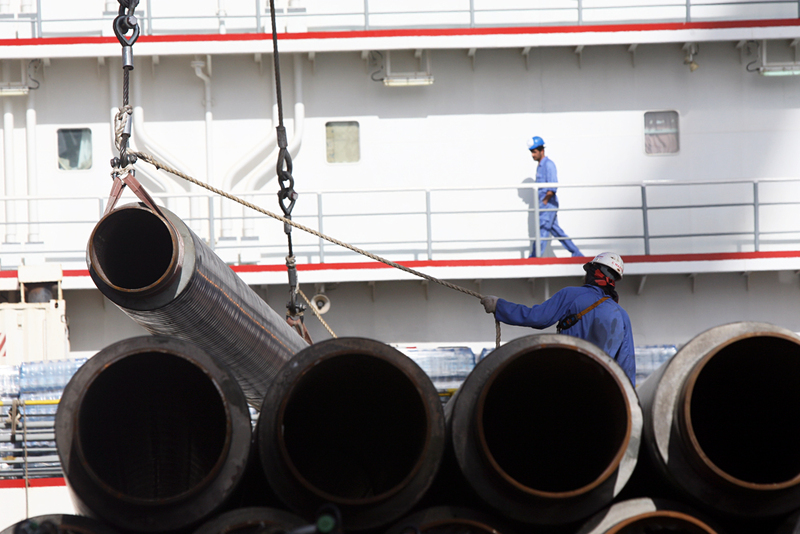 Pipe-laying ships are a rare technology. There are only a few dozen of them in the world. All of Gazprom's large underwater gas pipelines until now were built by foreign contractors. The largest volume of orders went to the Italian company Saipem, which worked on Blue Stream and Nord Stream. With sanctions in place against Russia and political confrontation with the U.S. and a number of EU countries, the absence of a pipe-laying capacity would have impeded Gazprom's plans to build pipelines that bypass Ukraine by going through the Baltic and Black seas. Will the ship build the Nord Stream-2? The Kommersant business daily said the pipe-laying ship can be used to build the Nord Stream-2 pipeline system. "The agreement to transfer a part of the work as a subcontract can be signed with the tender's Western winner," said one of the newspaper's sources. Victor Khaikov, president of the National Association of Oil and Gas Service told Vzglyad newspaper that the ship has the potential to be used in the building of Nord Stream-2. “But the entire operation of laying pipelines involves not only ships,” Khaikov said. “There are also various other competencies, people and technologies, licenses and additional equipment. Gazprom is only speaking of using it for the shelf. That is why, for laying pipelines along the Baltic Sea, in some way the company will have to turn to foreigners." Gazprom and the Nord Stream-2 consortium declined to comment. The tender to lay the pipeline has been announced and the outcome would be available by the end of 2016. This article is based on material from the Kommersant and Vzglyad news outlets.